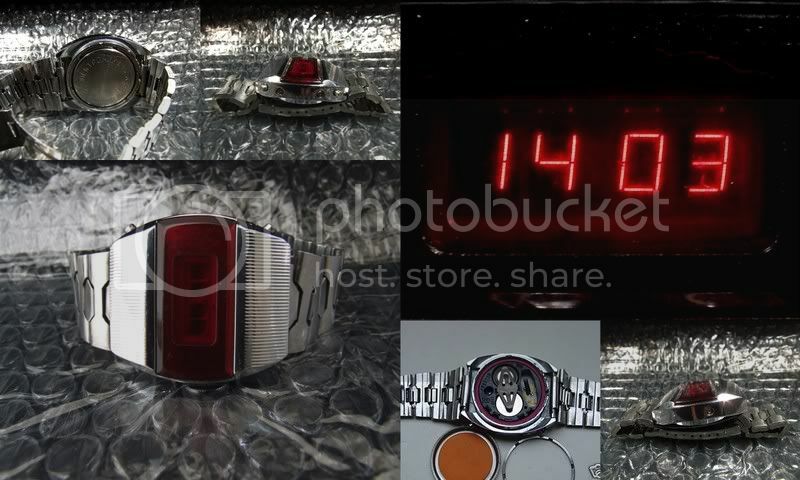 It is a LED watch that was produced from the mid seventies until well into the nineties. 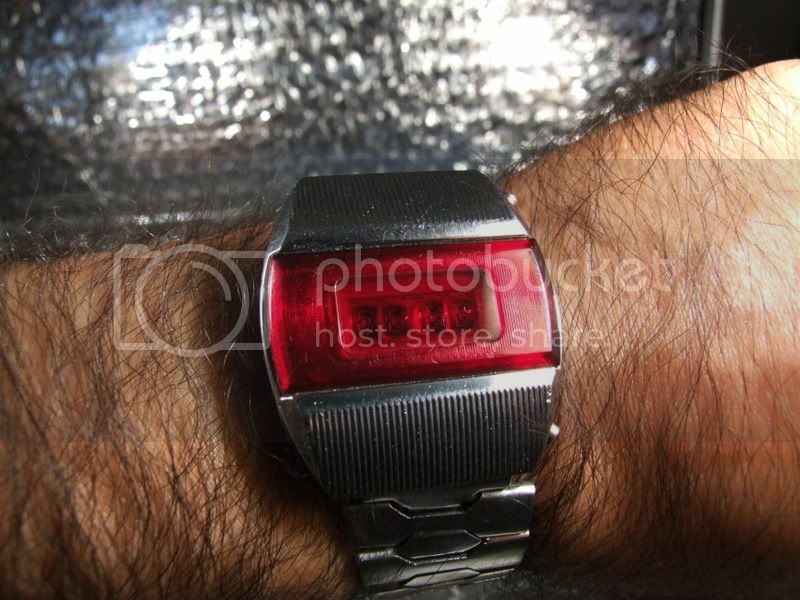 The watch was produced at the NII-Zavod Pulsar watch factory in Moscow. 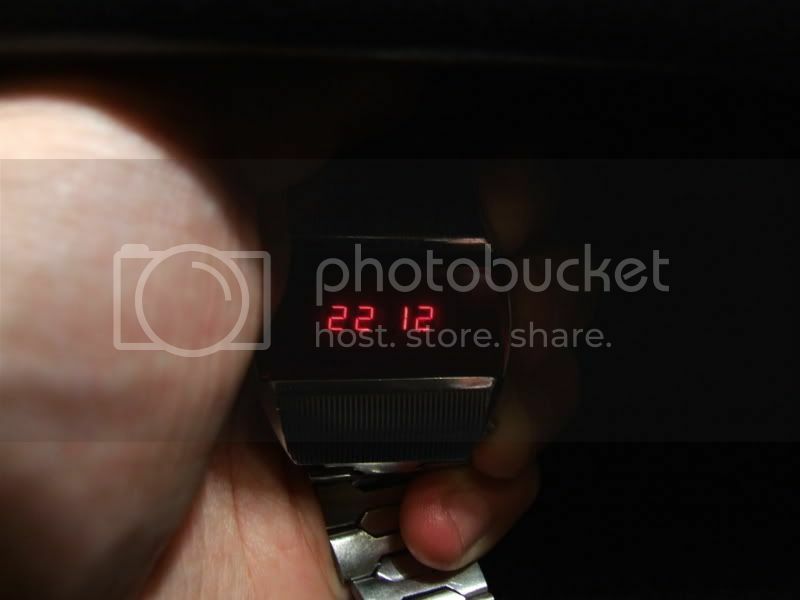 The watch has two protruding buttons. If we press briefly the top button the watch shows hour and minutes and seconds if we keep pressing it. The button at the bottom shows the day (numbered from one to seven) and date. 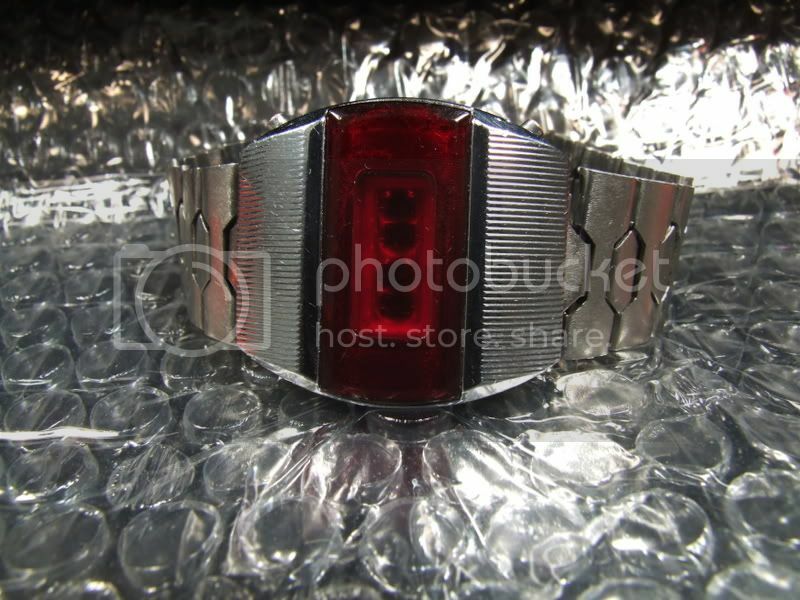 It also has 3 depressed buttons that are used to set the watch. The watch uses two batteries.